Saturday, April 6, 4:00 pm. 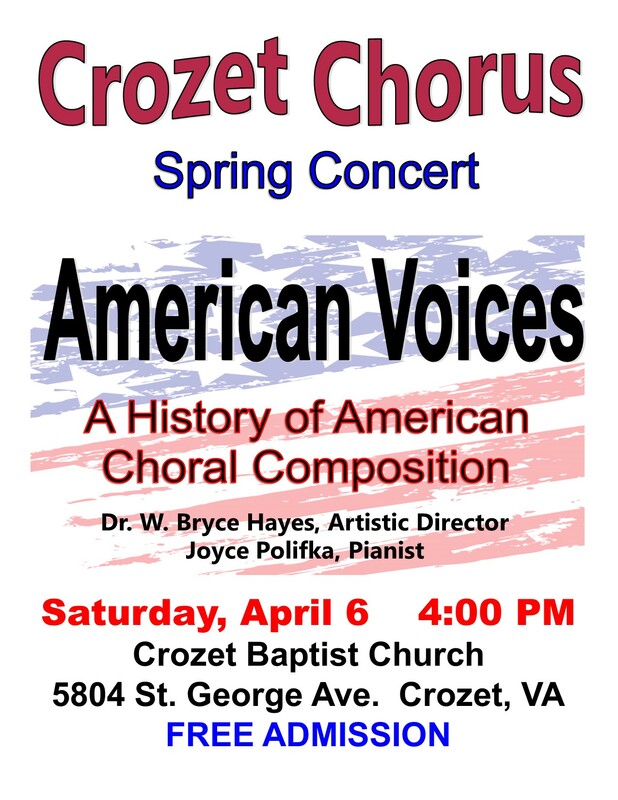 Crozet Community Chorus presents “AMERICAN VOICES: A History of American Choral Composition”. The chorus, conducted by Dr. W. Bryce Hayes, with pianist Joyce Polifka, will sing pieces by Aaron Copland, William Billings, Randall Thompson, and Danial Pinkham and feature soloists from the community. The concert is held at Crozet Baptist Church and admission is free.